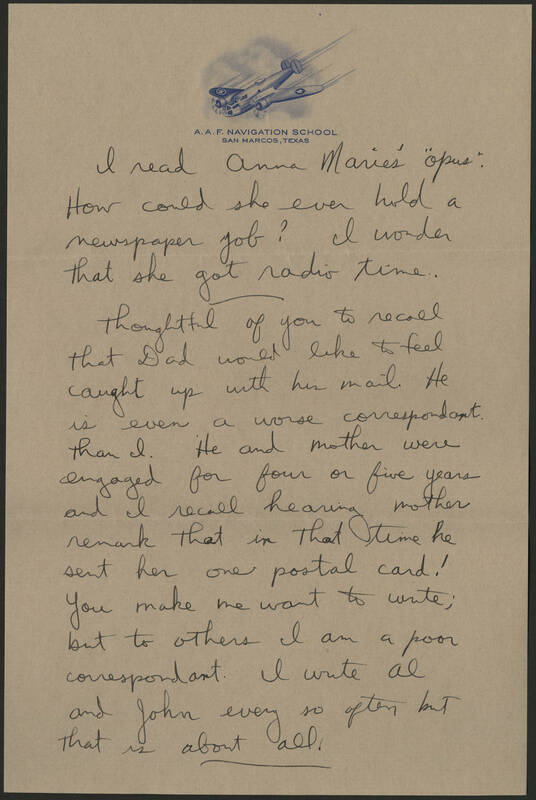 I read Anna Maries' "Opus". How could she even hold a newspaper job? I wonder that she got radio time. Thoughtful of you to recall that Dad would like to feel caught up with his mail. He is even a worse correspondant than I. He and mother were engaged for four or five years and I recall hearing mother remark that in that time he sent her one postal card! You make me want to write; but to others I am a poor correspondant. I write Al and John every so often but that is about all.